Google buckled up with a strong algorithm plan in early 2011 to restrict those sites who are trying to so called 'top rated' on the basis of fast and easy content go. With few quality pages and rest all with campaigning, discussions, forums and advertising, many major brands started enjoying PR stay with actually less worth in recent years. This seriously affected those original writers stay behind due to these website flood. Google's new SEO Panda Algorithm assists all of them to bring more consistent and better quality content all the time and promotes newcomers as well as best pre-performing sites. Google's Panda initiation started in early 2011 and has undergone crucial updates till date. Google Panda is Search Engine Algorithm which refines site's ranks on the basis of its content. Panda aims Google page ranking system to be more coherent and concise so as to slap down those pages from the system which has poor quality as well as thin content. Prior to Google's Panda program many sites started enjoying thin and low quality content on the basis of their massive data and advertising. Google Panda slapped those sites to stay down and to promote other quality sites to appear on Google results. Dealing Google panda and penguin programs are not new for those who are carefully following SEO concepts. These program keep such poor pages stay down and bring all other quality content up. Google Penguin algorithm works similar to Panda but it is specifically made to enough-penalize the sites which breeches the Google's webmaster guidelines. Black hat SEO techniques, keyword stuffing are some of the examples which become Penguin's target. Google Panda's first version released on Feb. 2011 that of Penguin program is April 2012. Google Panda have been revised almost 24 times and every time it targets few percentages of total global sites to refine their ranks. While Penguin assists to bring more quality sites get more value than others who are somehow running well breaking Webmaster rules. There is no way to stay away from constant improvement and must do change pages. Rather those sites who have slapped by Panda and Penguin need serious consideration for quality, content and much more and surely need rework. Surviving Penguin needs basic SEO and webmaster guidelines study such as not to build excess linking, keyword stuffing, irrelevant content posting etc. Unfortunately there is no recovery tool or form to request upon Panda and Penguin hits, rather they can be improved and wait till next update review. Penguin has an option called as "disavow links tool" which is available on Google Webmaster Central BlogSpot. Methods such as removing unwanted links, improving page content quality, disconnecting poor pages from the sites, maintaining the overall site's health by putting little extra effort is the basic message given by these algorithms. The major hits by Google Panda include top websites such as e-bay, ask.com, biography.com, retailmenot.com and more to list. Reason behind this could be extremely thin and low content on their millions of pages including user guides, forums, discussions, advertising etc. Moz has all the list of updates through Google Panda has undergone. 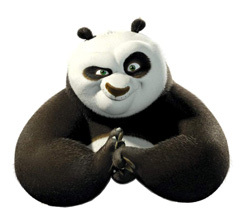 Wordtracker has excellent article on Google Panda update survival guide, how to study panda effects, which sites are vulnerable to Panda and what to do next if your website is Pandalized recently.